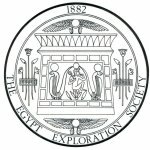 We are pleased to announce that the Egypt Exploration Society (EES) and the Institute of Classical Studies (ICS) are renewing their support to CRE with grants for participants presenting a paper or poster, to help defray attendance costs. Thanks to their generosity, CRE XVI is able to offer grants up to £100. To apply please submit a statement of no more than 100 words explaining why you are requesting a bursary to crexvioxford+grant@gmail.com by midnight (12:00 AM, GMT) January 25, 2015. No late entries will be considered. Decisions will be emailed to applicants by February 4, 2015. Grant applicants must be registered for the conference to be considered for a bursary award. EES supports archaeological research projects throughout Egypt and rely on the support of members. To find out more about EES, please visit their website http://www.ees.ac.uk/ and support EES by joining as a member. Congratulations to our EES award recipients ! ICS promotes and facilitates the research in Classics and related disciplined throughout the UK and abroad. To find out more about ICS please visit their website http://www.icls.sas.ac.uk. Congratulations to our ICS award recipients !